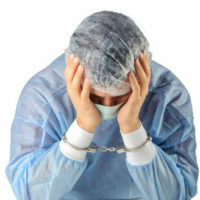 A recent study on the practice of medicine showed that nearly 75% of doctors polled were afraid of being sued for malpractice. While most doctors carry malpractice insurance and therefore won’t have to pay damages out of their own pockets, they still want to minimize the risk of dealing with patients’ claims and marring their reputations and future employment options. This fear influenced their methods for treating patients, leading to a new phenomenon known as “defensive medicine”. When faced with the figures regarding medical errors, it is easy to see why these doctors have decided it is better to be safe than sorry. The Centers for Disease Control and Prevention (CDC) published figures early last year showing these errors are the third most leading cause of death in the U.S. At 250,000 deaths a year, medical errors outrank the fourth most leading cause by 100,000 deaths. Do “Safer” Doctors Hamper Technology Growth? Doctors who practice “defensively” have actually been touted as becoming better healthcare professionals. Their cautious attitudes drive them to run more tests and spend more time with each patient to try to diagnose any issues. Some critics of this method feel defensive doctors might be doing a disservice to their patients – these medical professionals are so afraid of being hit with a lawsuit that they are unwilling to try new, more sophisticated and potentially more live-saving medical devices and technology. However, a study has shown that the exact opposite is true. Medical device companies observing the caution doctors are using have, in turn, started honing their own methods of research and development. If they spend more time perfecting their devices and testing them, they can offer proof to doctors that these devices are as safe as they are effective. Safer devices, coupled with more thorough doctors becomes a “win-win” for patients. Why would doctors want to consider these devices, even if they are safer? Doctors who are particularly cautious often go to their “tried and true” resources because they have actually used them (and not just read an article about them) and know they work. But device companies want to introduce new tools that perform differently and can perform alongside the usual devices to reduce more risk. For example, the article pointed to a device that could be used during a C-section to indicate where the baby’s head was at all times. Although C-sections have been performed for years, usually with successful outcomes, this type of device could help reduce medical issues even further. For doctors who subscribe to defensive medicine, the thought of adding another cautionary device can be very appealing. Not all doctors subscribe to “defensive medicine”; even if they do, mistakes can happen. These mistakes can have disastrous results, leading to permanent pain, disfigurement, or even death. If you or a loved one is suffering from the results of a negligent healthcare professional, you should contact a personal injury attorney for help. Gillette Law, P.A., with its offices in both Florida and Georgia, has several experienced attorneys on staff who can assist you with getting compensated and getting your life back.